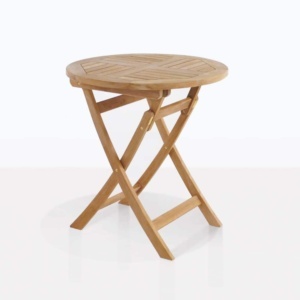 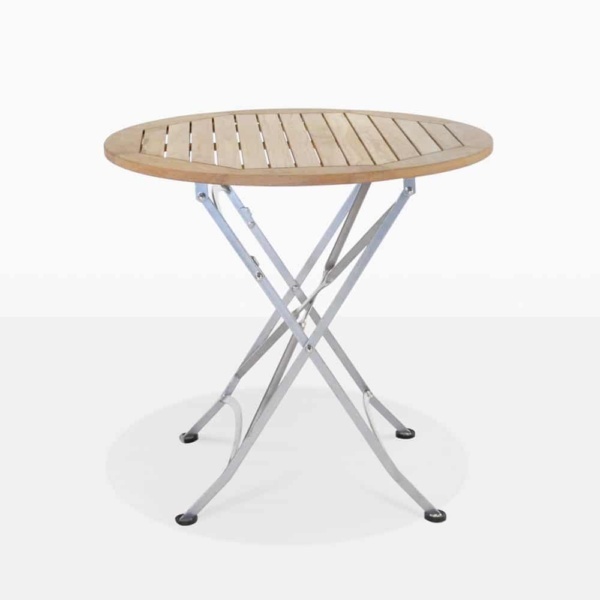 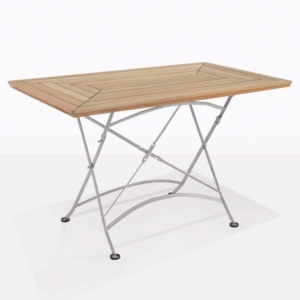 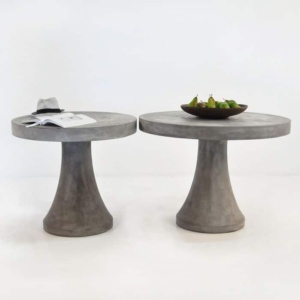 As if taken straight out of a Parisian Cafe, the Café Round Teak Folding Table, has a beautiful Grade A Teak top with powder coated steel legs, making for a romantic, whimsical look, whilst still being a practical table that folds away for easy storage. Place on your deck or in the garden and enjoy afternoon cocktails or morning coffee! 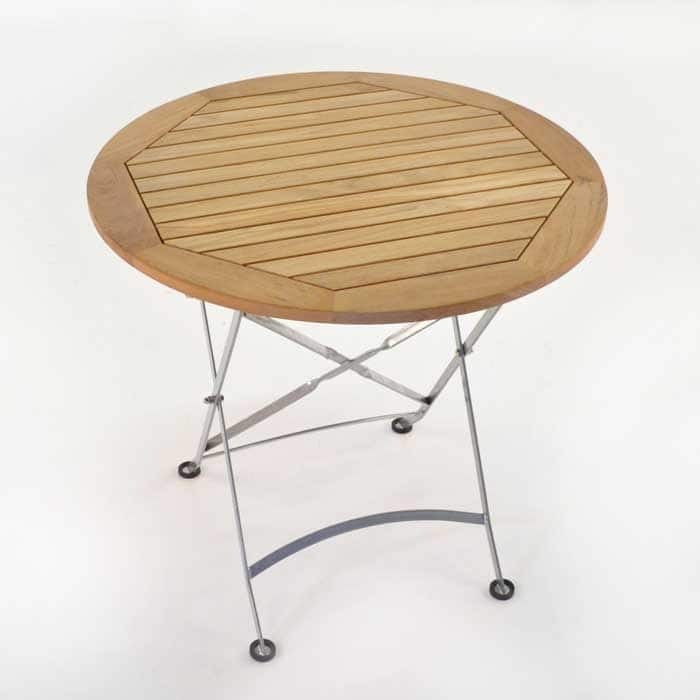 The Café Round Teak Folding Table looks great with the Café Teak Folding Arm or Side Chairs, but can also be teamed up with basic teak chairs, or even a little concrete stool!